The Salmon River, a tributary of the Sandy River, flows off the southwestern face of Mount Hood in Oregon’s Cascade Range. The river provides crucial spawning and rearing refuge for endangered Chinook, coho and steelhead. Despite its designation as a National Wild and Scenic River, past land management activities have severely degraded instream habitat. Sections of the river were straightened and diked, and large wood was removed. Habitat complexity decreased, and populations of coho and chum salmon, winter steelhead and spring Chinook declined. 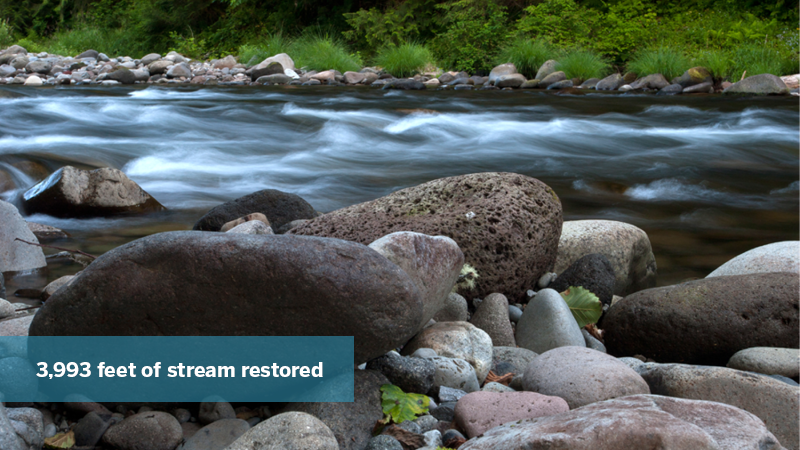 Since 2005, we have been part of a collaborative effort to restore habitat complexity in the Salmon River. Restoration actions implemented in 2015 include large wood structure placement, large wood and boulder augmentation and side-channel enhancements. These actions will increase available spawning and rearing habitat for endangered salmon and steelhead. To quantify the instream benefits achieved by the restoration actions implemented on the Salmon River, we used the Stream Function Assessment Methodology, a rapid assessment tool that evaluates stream functions and values. The methodology considers stream and streamside characteristics along with the ecological and societal benefits of that stream. Stream attributes, such as linear feet of side-channel habitat, the number of pieces of large wood, and the frequency and size of pools, are entered into the calculator. The tool generates scores for hydrologic, geomorphic, biologic and water quality functions, which is then used to quantify ecological outcomes. This approach embodies The Freshwater Trust’s method of Quantified Conservation. 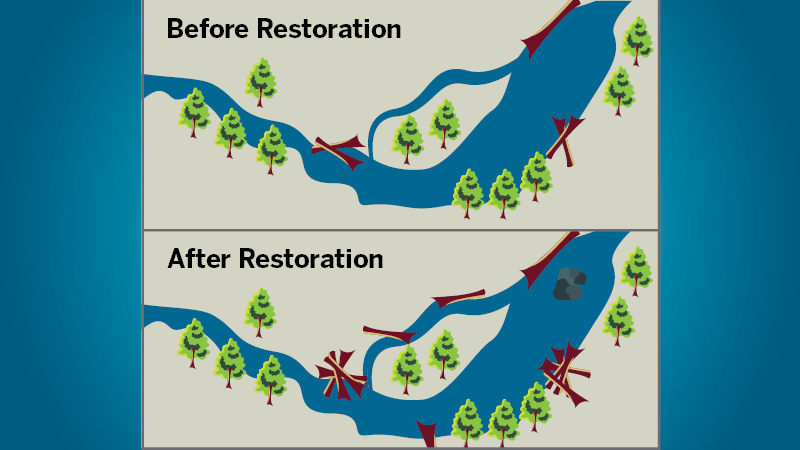 This is an applied method of using data and technology to ensure that every restoration action leads to a positive outcome for the environment. The results from the Stream Function Assessment Methodology can be viewed in our interactive Uplift Tool. In 2015, we completed projects along the Salmon River, resulting in 3,993 feet of increased habitat complexity by placing 80 boulders to increase channel roughness, emulating one landslide deposit to increase gravel deposition and organic material, and constructing five large wood structures. 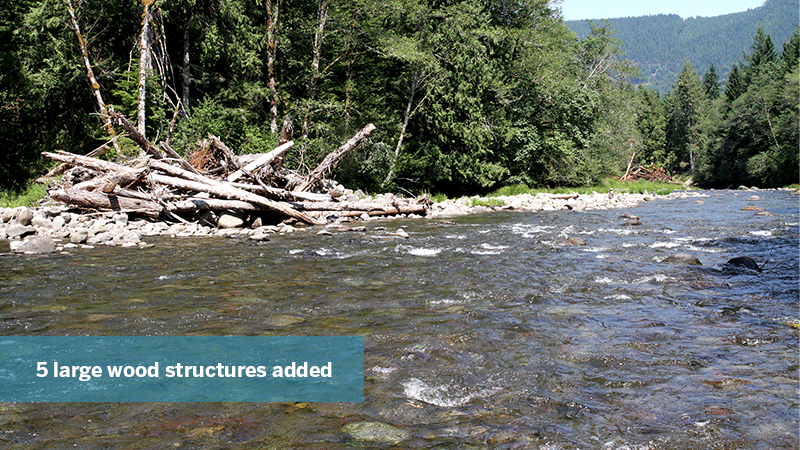 The structures will enhance instream habitat complexity. The Stream Function Assessment Methodology values were combined for the listed project locations. The tool is limited in its ability to express the benefits of certain restoration actions. For this reason, 26 functional linear feet is a conservative number.